When you bought your truck, you wanted it to be an unstoppable climbing and mudding machine. While your truck probably does a lot of things well, straight from the factory, they aren’t designed to do everything perfectly. That is why you need the experts at Line-X Inland Northwest in Coeur d’Alene and Spokane to help you turn your truck into the off-roading beast you know it can be. Our business is all about turning your truck into a truck that is just for you. While this might seem like a subtle difference, it isn’t. We all know how much of a change even a single part of truck accessory can make to the feel of our vehicle, and we want to amplify that for you and your SUV or truck. Imagine climbing into your truck and having it feel and handle the way you always believed a truck should feel and handle. That is possible when you have Line-X Inland Northwest on your side. Read on to find out just a few of the ways that we can help turn an four-wheeling truck into your four-wheeling truck. After you’ve checked out this blog, give us a call. 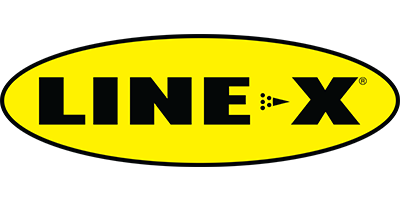 We offer free estimates on everything from Line-X bed liners to tonneau covers, toolboxes, and everything in between. If you bought a truck with enough clearance to hit the trails straight from the dealership, you might want to be careful — most stock tires aren’t really the best for handling trails, rocks, and mud. The last thing you want is to get stuck on your first day out. Come by Line-X Inland Northwest and talk to us about what kind of terrain you want to conquer and we can find a set of tires that will make it easy and fun! While you’re at the shop, you can check out the truck rims that we offer, too. While truck makers have done a better job of putting nicer looking wheels on their trucks over the last few decades, they tend to skew towards boring styles in order to appeal (or at least not repulse) the largest possible number of people. If you want your wheels to look more stylish, we’ve got what you’re looking for. Thanks to the latest advances in wheel technology, even flashy looking wheels can be incredibly strong and able to handle heavy loads. There is no sacrificing strength for style when you buy a set of new truck wheels from us. A tonneau cover is one of the fastest and easiest ways to modify the style of your truck while also making it safer to drive off-road. If you’ve ever spent any time hitting the trails hard, you know just how easy it is to jostle the gear in the back of your truck. If you’re going camping or hunting way off the beaten path, you don’t want to bounce any of your equipment out of the bed. Without a bed cover, you also run the risk of having your gear damaged (or at least dampened) by precipitation. Contact us now to find out how we can help make your truck perfect for you with the best truck accessories in the area!